George Georgouras was born in Darwin on 15 April 1920, the fourth of seven children of Athanasios Georgouras and his wife Panayiota, née Stergoulis. Athanasios came from Castellorizo, an isolated island off the southeast coast of Greece with a 'difficult and tragic history' of political troubles that led many of its inhabitants to flee to Australia. He immigrated to Australia in 1912 and started his Australian working life in the meatworks at Wyndham, WA. At an early age George simplified Georgouras, which he later said was 'unpronounceable at first sight in English and ... also unpronounceable in Greek', to the less forbidding, albeit redundant Georges; the name change was formalised by deed poll in 1964. Georges later recalled that his socialist views originated when he acted as an interpreter for his father in work and soup kitchen queues during the Depression. His father and he also sold fruit door to door during this period. '[S]eeing his father exploited by employers' nurtured his faith in the trade union movement and socialism. Georges received his early education at Ingham (1925) and in Brisbane, including at the South Brisbane Intermediate School (1932–33). At Brisbane State High School (1934–39), which drew students from all parts of Brisbane, Georges was an 'enthusiastic' captain of the rugby union team. He became class conscious when he observed that students from wealthy areas tended to perform better at school. Georges joined the Kangaroo Point branch of the ALP in the mid-1940s; during that decade he enrolled for several subjects at the University of Queensland but never completed a degree. The young Georges was something of a poet, and wrote in his verse, 'A Glimpse', of 'The world as I would have it be' where everyone had 'a life / Of joyous peace and happy sweet content'. Georges combined his broad socialist principles with an entrepreneurial flair when he established the Union Cooperative Society Ltd, which bought goods in bulk and sold them at a discount to union members. On 14 December 1952, he married Gloria Wishart; they had a son and daughter. Georges stood unsuccessfully for the inner-city seat of Windsor in the Queensland Legislative Assembly in 1960 and 1963 but, as the secretary of the Union Cooperative Society (with which he would remain associated for the all but the last few months of his life), he secured second place on the ALP ticket at the 1967 half-Senate elections. As he gained a winnable position at the expense of a Trades Hall candidate, he found himself offside with some influential sections of the ALP from the start of his parliamentary career. A senator from 1 July 1968, Georges gave his first speech in the Senate on 28 August. His vehement opposition to Australian involvement in the Vietnam War contrasted with the moderate approach of the ALP leadership at this time. Georges compared the actions of Australia in Vietnam to the Russian invasion of Czechoslovakia. In September 1970, he declared: 'Our very might in Vietnam makes us the aggressors. ... We make the action in Vietnam respectable merely because America needed the support of at least one other white nation'. By this time Georges was chairing the Queensland Moratorium Coordinating Committee. In his early years in the Senate Georges spoke out against the inequity of electoral redistributions in his home state, in support of the Aboriginal tent embassy on the lawn at Parliament House and against oil drilling and oil exploration on the Great Barrier Reef, which he said 'must be protected at all costs' as it had 'an economic potential' for tourism which far exceeded its potential as a source of oil. Georges was a founding member and chair of the Save the Reef committee, established in 1969, to protect the reef from the dangers posed by oil drilling and the crown of thorns starfish. In September 1969 Georges went in to bat in the Senate for a Greek communist, George Zangalis, who had been denied Australian citizenship. Zangalis was not the only one in this category, and Georges said of him and others: '[the government] should not accept their services, skills and taxes whilst at the same time refusing them naturalisation'. Liberal Senator Nancy Buttfield remarked that communists could not be trusted, and when Georges demurred, she said: 'If that is the attitude you have, it is a great pity you were allowed to come to this country'. The Australian-born Georges, unsurprisingly, took exception, and eventually Buttfield withdrew her statement, albeit in a way that Senator Lionel Murphy described as 'not very gracious'. Even less gracious was the Queensland Premier, Johannes Bjelke-Petersen, who on 23 September 1970 read out in state Parliament a prepared reply to a question that attacked Georges and his fellow ALP Senator Jim Keeffe for 'spend[ing] a great deal of their time promoting disloyalty to the ideals and laws of this country'. Bjelke-Petersen accused Georges of associating with organisations 'that are either infiltrated or dominated by Communist influence'. He cited the 'Australia-USSR Society' (actually the USSR Friendly Society, one meeting of which Georges had attended), a conference on ending the Vietnam War, and the Brisbane Committee for Democracy in Greece. In the Senate Georges admitted his association with the latter, remarking: 'No one on either side of the chamber would deny the desirability of having democracy in Greece or in any other place, yet according to Mr Bjelke-Petersen this is an indication of subversiveness and disloyalty'. Bjelke-Petersen also accused Georges of having changed his name three times (in fact, it was only once), and assured the state Parliament that 'these subversive elements [Georges and Keeffe] will be watched closely by my Government in the future and that their activities against decency and democracy will be exposed'. Georges strongly objected to the intimidation implicit in the premier's warning that he and Keeffe would be kept under surveillance. Georges maintained a reputation for outspokenness. On 12 September 1972, he was suspended from the sitting of the Senate for refusing to withdraw allegations that Liberal Prime Minister William McMahon, when Minister for External Affairs, had unduly favoured an aircraft firm, Jetair Australia Ltd, from which the government purchased six DC3 planes. In 1980 he was suspended again after he protested repeatedly at the Fraser Government's use of the guillotine to speed a number of bills through the Senate; Georges described the government's action as 'destroying the very character of the Senate'. When the Whitlam Government took office in December 1972, Georges did not receive a portfolio. He became Chairman of the Aboriginal Advisory Co-operative Committee, set up by Minister for Aboriginal Affairs, Gordon Bryant, to assist in the establishment of Aboriginal and Torres Strait Islander co-operative ventures. In July 1973 Bryant appointed Georges to the board of Applied Ecology Pty Ltd following allegations of financial mismanagement by this company, which was sponsored by the Australian Government to develop a commercial turtle farming project in the Torres Strait. Bryant's removal from the Aboriginal Affairs portfolio in October 1973 was to some extent due to his criticism of his department's management of this project, and Georges, who strongly defended him, was also trenchant in his criticisms of the Department of Aboriginal Affairs and of the Australian National University for their failures in supervision. Throughout his years in the Senate Georges was a member of numerous parliamentary committees. Much of his best work was done in that capacity, although, as in other areas of his public life, he was often provocative. In 1974, while a member of the Select Committee on Securities and Exchange, Georges was sued for defamation by the committee chairman, Senator Peter Rae, after suggesting in the press that the tabling of the committee's report, unanimously recommending the establishment of a national securities and exchange commission, was being delayed because of Liberal Party opposition. Georges eventually issued a public apology and withdrew his accusation in 1978. 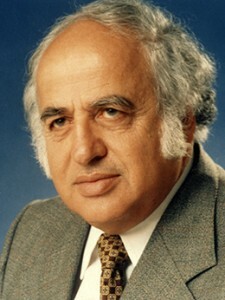 As chairman of the Joint Committee of Public Accounts (1983–87), Georges presided over prolonged investigations into medical fraud, and design and project management failures in the Department of Defence. In 1983 Georges was elected chair of the Select Committee on Animal Welfare, a role that sometimes reduced him to tears. On his last day in the Senate he commented on changes in attitude towards the use of animals in research experiments. He believed that the existence of the committee had helped to 'reduce the numbers of animals used, to reduce suffering of animals in experiments, and to improve the facilities and care of animals'. Georges achieved national prominence in the late 1970s, not for activities in the federal sphere, but for his protests against laws introduced by a state government. When Bjelke-Petersen amended the Queensland Traffic Act 1949 in September 1977, making the police commissioner the final arbiter for approval of street demonstrations and marches, Georges was at the forefront of protest. During the Springbok rugby union tour of 1971 Georges had acted as an unofficial liaison between the police and the protesters, but when he tried to play a similar role in the street march on 22 October 1977, he was arrested along with many others. He was charged with disobeying a police direction, resisting arrest and obstructing pedestrian traffic. Georges, who claimed that he had been assaulted by an unidentified police officer as he tried to prevent demonstrators from marching, was acquitted of all charges. The episode, in Georges' words, 'broke down my authority and standing with the [Queensland] police. To the police now I'm just a nuisance. As there was [now] no way I could play a more responsible role, I had to decide to be a participant rather than an observer'. On 30 October 1978 Georges and former Whitlam Government minister Tom Uren were among nearly three hundred people who tried to deliver a bill of rights petition calling for a guarantee of civil liberties in Queensland, to Parliament House, Brisbane. Georges had played the leading role in organising the event, and decided not to apply for a permit on the ground that the right to march should not be subject to political expediency. Seven hundred uniformed police and plainclothes detectives dispersed the crowd. Georges and Uren were charged with taking part in an unlawful procession and failing to obey a police direction. The process of justice in Queensland [in civil liberties cases] leaves much to be desired ... The evidence of the police almost invariably is taken against that of the defendant. It is time that the magistrates became a part of the independent judiciary and separated away from a close liaison with the Police Department. Georges was released the next day, 'tired-looking' and with a 'short back and sides' prison haircut, of which he said dryly: 'I've had much better haircuts'. When told that someone had paid his fine, he was sceptical, preferring to believe that prison and police authorities were relieved to be rid of his disturbing influences. Georges refused to believe that the state government had orchestrated his release: 'If it had been up to Mr Bjelke-Petersen, he would have allowed me to rot there as long as he could'. At this time Georges was also embroiled in party strife. He sought radical reforms in the representation of branch and union members at senior levels of the Queensland ALP, and in 1978 he called publicly for federal intervention in the Queensland branch. Moves to discipline him were dropped after the state branch accepted reform proposals from the National Executive. Georges found himself in deeper trouble with his party in April 1979 when he publicly attacked the state Opposition Leader Ed Casey, for his alleged failure to protect civil liberties in Queensland. The ALP disputes tribunal heard Georges' case in September, and suspended the senator for six months when he refused to give an assurance that he would not offend again in similar circumstances. After his appeal to the state council failed, the National Executive overturned Georges' suspension late in October, ruling that the sentence was excessive. Georges accepted the executive's strong reprimand and agreed to abide by party rules. He continued to be arrested for offences associated with street marches. Georges remained unrepentant and refractory, refusing to pay the fines and saying: 'Anybody who pays [them] is not allowing me to exercise my right to go to jail'. In October 1979 the Committee of Privileges considered whether George's detention in Brisbane for failing to pay a fine incurred during a demonstration as part of a civil liberties campaign was an infringement of the privilege of members of Parliament of freedom from arrest in civil causes. The committee concluded that in this case George's detention was not a breach of privilege as the matter was not of a civil nature, but on its recommendation, the Senate passed a resolution that 'it is the right of the Senate to receive notification of the imprisonment of any of its members and that all courts should make notification to the President whenever such imprisonment occurs'. Georges was concerned that the public saw the street march issue as a struggle between himself and the Queensland premier, and said: 'It's much, much bigger than that. And I may have to step aside as "patron" of the campaign so the issues don't become clouded with personalities'. His intention to remain in the background did not save him from further arrests and harassment by the Queensland police. On 10 December 1985, United Nations Human Rights Day, he was arrested sitting on the kerb of an inner-city street in Brisbane. He claimed he was in private conversation with a constituent and that he was arrested as a result of a direct order from Premier Bjelke-Petersen. 'It's getting to the point where I can't attend anything in Queensland', he said. 'I decided just to be a spectator ... But the police know they can arrest me with impunity'. Not all of Georges' street march activities ended in conflict with the police. When he led a peace rally and march in Brisbane on 15 April 1981, a permit had been requested and granted a month prior. Georges initiated the peace rally, with the theme 'No to Military Madness', in response to the increase in nuclear arsenals, the stationing of B52 bombers in Darwin, and the recent election of Ronald Reagan. The tradition of holding a peace rally and march on Palm Sunday in Brisbane continues. In 1976 Georges was elected Opposition Whip in the Senate, but lost the position following the 1980 federal election. The change embittered Georges, who blamed party leader Bill Hayden for his defeat, and confessed that it 'altered the whole direction of my political activity', returning him to intense involvement in parliamentary committee work, and to a role of opposing some of the actions and policies of his own party. Hayden later recounted a confrontation with Georges (in Hayden's office) which concluded with him physically evicting Georges, an act for which, said Hayden, 'George never forgave me'. At a Caucus meeting late in 1982, Hayden was shaken when Georges asked, 'belligerently', 'Why don't you resign for the good of the party?' Despite the change of leadership from Hayden to Bob Hawke in February 1983, Georges failed in his attempt to regain the post of Senate Whip after Labor's election victory in March. Georges was sorely disappointed by the performance of the Hawke Government, especially what he saw as the increasing tendency of the prime minister and Cabinet to make decisions in direct defiance of party policy: 'it has been catastrophic for the democratic processes of the party'. On a later occasion, he said that Hawke could never be forgiven for destroying Labor as a left-wing party: '[Hawke has] wrecked its policies and deserted its tradition and principles ... He has not kept the party at arm's length from his corporate friends and decisions of government have favored the wealthy'. Georges was also dismayed by the government's decision to export uranium to France, and its failure to attempt to overturn the Bjelke-Petersen Government's dismissal of striking workers employed by the South East Queensland Electricity Board. The event that almost precipitated Georges' expulsion from the ALP was the Hawke Government's bill to deregister the militant left-wing Builders' Labourers' Federation (BLF). In April 1986, Georges voted against the legislation, describing it as an 'outrage', a 'clear contradiction of party policy and platform' and 'absolutely contrary to the rights of individuals'. As no divisions were held, Georges did not physically cross the floor, but he asked that his dissent be recorded on the vote for the second and third readings, as permitted under standing orders. Prime Minister Bob Hawke was little impressed by the finer points of standing orders, and even less so with Georges. Hawke moved, successfully, that Georges be suspended from Caucus for three months, pending consideration of his future in the party. The state branch of the ALP supported him in his defence of the ALP's 'traditional commitment to the trade union movement', and a party resolution said: 'He has done nothing that warrants suspension from Federal Caucus or suspension or expulsion from the party'. According to ALP powerbroker Senator Graham Richardson, who was present when Georges presented his case against expulsion to the National Executive in May 1986, he did so tearfully. Richardson urged the party to show no mercy, but Georges was spared. Richardson's motion to expel Georges was defeated fifteen votes to three, while a motion to merely reprimand him was defeated by four votes. A compromise motion was carried, suspending him for three months. Georges later suggested that the left wing of the party would be 'more effective and more united' if it disqualified itself from Cabinet. To destroy the privacy of the individual would destroy society ... the ID card is intrusive, cumbersome and unnecessary ... [and] has been presented to us as a licence to exist in our society. If one does not have that licence one cannot exist. On those grounds alone the whole proposition ought to be discarded. He continued: 'I am not going to support this piece of legislation. When it comes back to the Senate ... I will oppose it. But in the meantime, to clear the decks, I will resign'. Outside the Senate, Georges revealed that his closest associates, including his family 'who were indicating for a variety of reasons that they weren't prepared any longer to support the ALP' influenced his decision. Of the issue that had proved to be the breaking point he said: 'I wasn't going to kowtow to the party line on the ID card. I realised I couldn't be effective in the party if I did'. Georges formally resigned as a member of the ALP ten days later. Sitting as an Independent and free from the discipline of a party Whip, Georges frequently abstained from voting in divisions in his remaining time in the Senate, which ended when a double dissolution election was called on 5 June 1987. In April 1987 he voted against the government on the second reading of the Australia Card Bill 1986, and in June he spoke and voted against the government's Broadcasting Amendment Bill 1986 and associated bills. Shortly after his resignation from the ALP he urged his supporters to stay on and fight: '[T]he cause of political struggle is not over ... There is still a strong movement that desires fundamental change to society which will benefit ordinary people and lead to a redistribution of wealth and power'. He hoped that 'the stage may be set where I can return ... when the party re-establishes its socialist objectives. And that time will come'. Georges ran as an Independent at the election of July 1987. Despite his differences with the ALP, he gave his old party his preferences. He was not sanguine about his chances of being returned, but his ultimately unsuccessful candidacy received a boost when two former Whitlam Government ministers, Doug Everingham and Gordon Bryant, urged ALP voters to give their preferences to him. Georges' valedictory speech in the Senate was both serious and whimsical. He reflected that 'it was perhaps a mistake for me to have taken on the responsibility' of chairing the public accounts committee because it 'took me away from and separated me from my colleagues ... That connection was broken, which perhaps led to my subsequent resignation from the Party in a fury'. He warned that it was 'essential' to maintain the independence of both houses of Parliament from the growing threat of executive control. He concluded by paraphrasing twice from Douglas Adams' The Hitchhikers Guide to the Galaxy—'So long and thanks for all the fish', and, referring to the slight possibility of his return to the Senate, 'If I so do, I apologise for the inconvenience'. Georges rejoined the ALP in 1994. He moved to Canberra months before his death there, after a long illness, on 23 September 2002. He was survived by his wife and children, and his funeral service was held at Norwood Park crematorium. When he was under threat of expulsion from the party over the BLF issue, a dispirited Georges had told a journalist 'I am wondering if I haven't wasted my life'. Former Queensland ALP president, Ian McLean, recalled at Georges' death his regret at 'leaving the world no better a place than when he came into it'. Despite Georges' sense of failure, the tributes to a genuinely compassionate, fearless and colourful man were heartfelt. Senator Nick Bolkus (ALP, SA) described him as 'a role model for many people like me [of migrant heritage] who were looking at getting involved in politics', and he admired Georges' lifelong commitment 'for the cause of justice', and his 'enormous stubbornness against all odds'. Senator John Faulkner (ALP, NSW) remembered Georges as 'a quietly-spoken person, but his manner seemed to give little warning of the volcanic passions that could erupt'. Liberal Senator John Watson (Tas.) saw Georges as 'the kind of representative that every parliament really needs, but not necessarily one that every party always wants'. In 1986 Bill Hayden, who, understandably, had 'no love' for Georges and his 'erratic, impulsive, capricious' behaviour, wrote that 'George has done many courageous and generous things as a matter of principle... . in a strange sort of way, I have a fair bit of respect for him and a lot of sympathy'. Australian (Syd. ), 5 May 1979, p. 2, 29 Jan. 1986, p. 9, 30 Sept. 2002, p. 10; CPD, 24 Sept. 2002, pp. 4737, 4739; Courier Mail (Brisb. ), 12 Dec. 1986, p. 4; Age (Melb. ), 14 Oct. 2002, p. 9; CPD, 23 Sept. 1970, pp. 842–3. CPD, 28 Aug. 1968, pp. 382–4, 15 Sept. 1970, p. 556, 9 Oct. 1968, pp. 1148–50, 20 Sept. 1972, p. 1036, 5 March 1969, pp. 311–2; Judith Wright, The Coral Battleground, Thomas Nelson, Melb., 1977; CPD, 18 Sept. 1969, pp. 1081–4. QPD, 23 Sept. 1970, pp. 755–6; CPD, 23 Sept. 1970, pp. 841–4, 12 Sept. 1972, pp. 724–32, 20 May 1980, pp. 2500–3; SMH, 19 Nov. 1973, p. 7; CPD, 9 Oct. 1973, pp. 1071–6, 23 Oct. 1973, pp. 1341–5. Select Committee on Securities and Exchange, Australian Security Markets and Their Regulation, Canberra, 1974; AFR (Syd. ), 6 May 1974, pp. 1, 5 ; CT, 8 May 1974, p. 12; Australian (Syd. ), 1 March 1978, p. 2; CPD, 11 Sept. 1985, pp. 422–5, 428; Transcript of interview with Dr Norman Karl Sanders by Ms Colette Ormonde, Jun 1990, POHP; CPD, 5 June 1987, pp. 3676–7. Ross Fitzgerald, From 1915 to the Early 1980s: A History of Queensland, UQP, St Lucia, 1984; Bill Hayden, Hayden: An Autobiography, A&R, Syd., 1996; Courier-Mail (Brisb. ), 11 May 1978, p. 2; National Times (Syd. ), 28 Oct. 1978, p. 15; Tom Uren, Straight Left, Random House, Milsons Point, NSW, 1994; CT, 28 Dec. 1978, p. 6; SMH, 29 Dec. 1978, p. 2. Ross Fitzgerald & Harold Thornton, Labor in Queensland, UQP, St Lucia, 1989, pp. 231–56; Age (Melb. ), 27 July 1978, p. 5; AFR (Syd. ), 1 May 1979, p. 7; Committee of Privileges, Fifth Report: Imprisonment of a Senator, Canberra, 1979; CPD, 25 Oct. 1979, p. 1772; ALP Federal Secretariat, Minutes of the National Executive, 26 Oct. 1979, NLA MS 4985; Age (Melb. ), 28 July 1979, p. 5; Australian (Syd. ), 11 Dec. 1985; Labor Review, July 1981. Denis Reinhardt, 'The trouble with Georges is he won't shut up', The Bulletin (Syd. ), 29 April 1986, p. 48; Hayden, Hayden, p. 482; Bill Hayden, Letter to The Bulletin (Syd. ), 13 May 1986, p. 10; Sunday Mail (Brisb. ), 21 Dec. 1986, p. 5; Daily Sun (Brisb. ), 6 July 1987, p. 2; CPD, 2 Dec. 1986, pp. 3141–2, 3160–1; Sunday Mail (Brisb. ), 20 April 1986, p. 14. CPD, 11 April 1986, p. 1590–3; ALP Federal Secretariat, Minutes of the National Executive, 15 April 1986, NLA MS 6852; Courier-Mail (Brisb. ), 12 May 1986, p. 7; Daily Sun (Brisb. ), 12 May 1986, p. 4; Graham Richardson, Whatever It Takes, Bantam, Syd., 1994; p. 14; CT, 16 May 1986, p. 3; Herald (Melb. ), 23 June 1986, p. 3. CPD, 10 Dec. 1986, pp. 3725–7; Age (Melb. ), 12 Dec. 1986, pp. 6, 11; Sunday Mail (Brisb. ), 21 Dec. 1986, p. 5; Courier Mail (Brisb. ), 11 June 1987, p. 5; AFR (Syd. ), 22 June 1987, p. 4. CPD, 5 June 1987, pp. 3698–9; Sunday Mail (Brisb. ), 20 April 1986, p. 14; Australian (Syd. ), 30 Sept. 2002, p. 10; CPD, 24 Sept. 2002, pp. 4737–45; ALP Federal Secretariat, Bill Hayden to Bob McMullen, 17 April 1986, NLA MS 4985. This biography was first published in The Biographical Dictionary of the Australian Senate, Vol. 4, 1983-2002, Department of the Senate, Canberra, 2017, pp. 156-162.